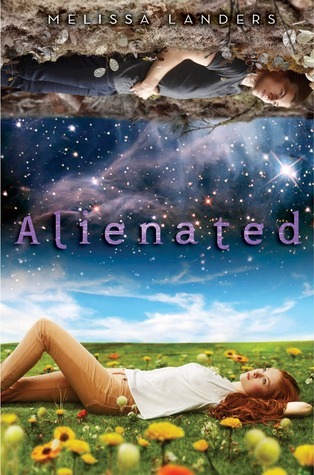 Alienated lived up to my expectations. I found this story catchy and a debut that will appeal to many readers. This sci-fi stands out with the unique planet of L'eihr and a steady paced story with intriguing characters and plot. Cara Sweeny was chosen for the L'eihr Exchange Ambassador Program and soon would take Aelyx, her eighteen year old exchange student under her wing and introduce him to the ways of an American teen, family and life on the planet Earth. There were three exceptional L'eihr students who were chosen to participate. Aelyx, Syrine and Eron found Earth to be a primitive and foul planet. The goal was to help humans and L'eihrs understand each other better. The exchange came with consequences as Cara and Aelyx becomes a target by those who stand against the alliance. Threatening notes and loss of friends, just to name a few. But the L'eihr students aren't keen on the idea and want to sabotage the alliance as well. Touch and emotion are common human traits, but for the L'eihr beings, it is unnatural and repulsive. As times get more difficult with rebellious groups, and no one left to confide in, Cara slowly develops true feelings for this strange boy. She is determined to make him as comfortable and as at home as possible. Aelyx slowly begins to second guess his motivations in sabotaging the alliance. Cara felt she had to participate as her mother was saved by the L'eihr. They introduced humans to asheem; a potent medicinal root native to their planet, which could isolate and kill cancer cells. Life began to turn for the worse when her best friend and others turned against her. I truly enjoyed this story. As a fan of Sci-fi, I found this one to be very competitive with the likes of many other YA Sci-fi stories in the market. It was easy to fall into Cara's life. I felt she was relatable, realistic and strong . The effort she put into making Aelyx comfortable was cute. Their relationship developed slowly and was nicely paced. The chemistry developed was pretty intense and there is one particular scene that was written exceptionally well and is sure to make your toes curl! In the early stages of the story, Aelyx was cold and not very likable in my opinion. The author did an excellent job writing him. Small stolen moments between Aelyx and Cara changed my perspective and when those two were together, they just clicked. Against his better judgment, he couldn't help fall for the earth girl. I liked the action and the devious twists thrown in. My jaw dropped to the floor at the end. Those two just can't catch a break. This debut is one I will most definitely continue and am looking forward to more of Cara and Aelyx's adventure. I enjoyed this one too! I'm very eager to read the next book in the series. I really enjoyed seeing Cara and Aelyx's relationship grow...very well done. Great review! Thank you, Kristen! I am eager for the next book as well. Wasn't that ending a shocker!? Thanks for stopping by! Haven't seen this one before. I love the cover! Thanks! I've read this and loved it! Can't wait for Book 2. I can't wait for #2, either. I'm a sci-fi fan and I really liked this one. I want to learn more about L'eihr, too. Thanks for dropping by! Sounds intriguing. Like some of the exchange program movies and what-not of my youth, only with a new twist. Exactly! I thought it was a great twist. Thanks for stopping by!